According to specialists, about 80% of customers who use the Internet, buy products online; and, these numbers are increasing every day. So if you are an e-shop owner and haven’t thought about capitalizing on this opportunity then you might want to get started now. 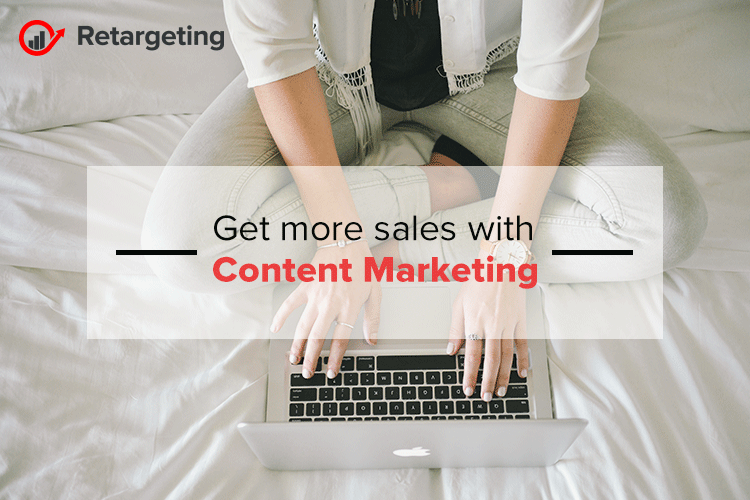 Unless you have been living under a rock, you must be aware of what content marketing is and how it can help you boost traffic, increase conversion rate and most importantly, your online sales. Why content marketing for e-commerce? Nowadays buyers have become smart, so online store owners need to produce content that can be the driving force behind purchasing decision. In addition to this, online customers search for solutions to their problems. You can produce content in any format as long as it helps the potential customer; pictures gallery, video or a blog. Your content gives you the chance to present your product to the customer who is only there to find a solution to his or her problem. Results should be your strategy driver! – analyze if you have achieved the desired outcome. Don’t use just one format! By the end of 2017, video content will represent 74% of all internet traffic. So it would be smart not to restrict content to just one format, instead make use of all types of resources available at your disposal. As an online store, you can produce content in various forms such as videos, blogs, infographics, guides, and case studies. Additionally, your content can be divided into numerous categories such as reviews, content from community, testimonials, memes, etc. All you have to do is produce content that revolves around problems and pain point of your buyer’s persona. It can build a sense of relationship with your audience and along with this, it helps in search engine optimization to increase your website’s conversion rate. In addition to blogging yourself, you can use “Guest Blogging” as a tool to build your authority in your respective niche. You must look to the guest blog for good quality backlinks, it will bring traffic as well as helps you rank well. Sharing is the name of the game! Ideally, you should spend only 20% of the time creating the content while 80% of your time promoting and distributing the content. There is no point if you have an interesting argument to make, but don’t have anyone to hear it; similarly, your content is of no importance if it’s not been seen or read by the right audience. You can spread your content with the variety of distribution channels such as email list, communities, paid promotions or social media channels. In addition to this, you can have your content promoted via influencers. There are more than 2 billion active social media users worldwide and this number is projected to grow at a rate of 25% year over year, according to specialists. So as an online store owner or marketer you can not deny how significantly important social media. You must identify when your target audience is active the most and which channel does it prefer. Once identified, you ought to create content accordingly to engage with the audience, it’s more convenient for readers to read to-the-point pitch on social media. By now you should have a clearer picture of why content marketing is important for an online store and how you should create a strategy for it. Moreover, you can use content marketing to improve how a search engine sees your site and receive greater authority in your niche; all this helps to better connect with the target audience.